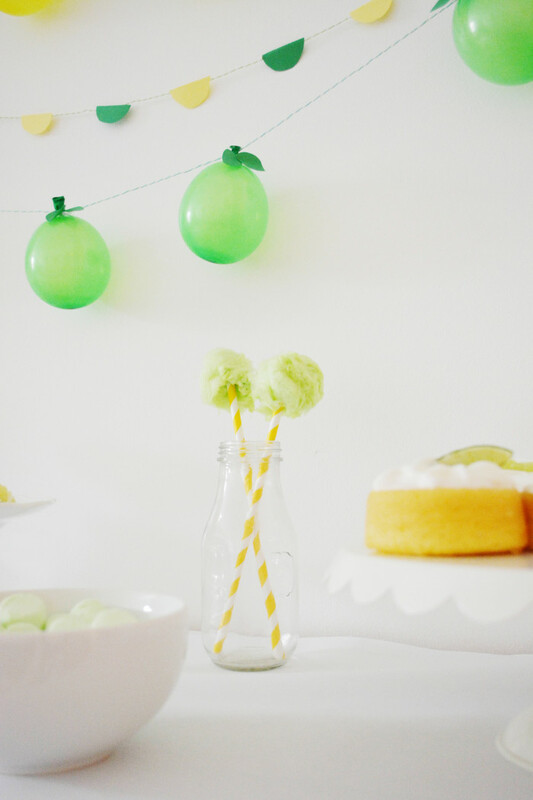 All of the food is either bright green or bright yellow. 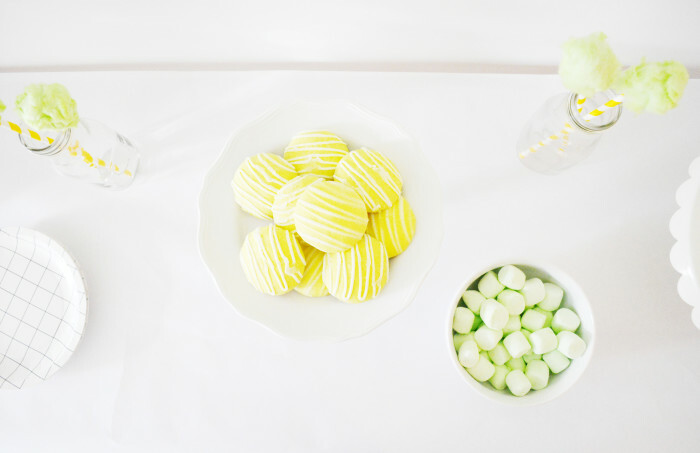 Which doesn’t sound too appetizing but those cookies were delicious. 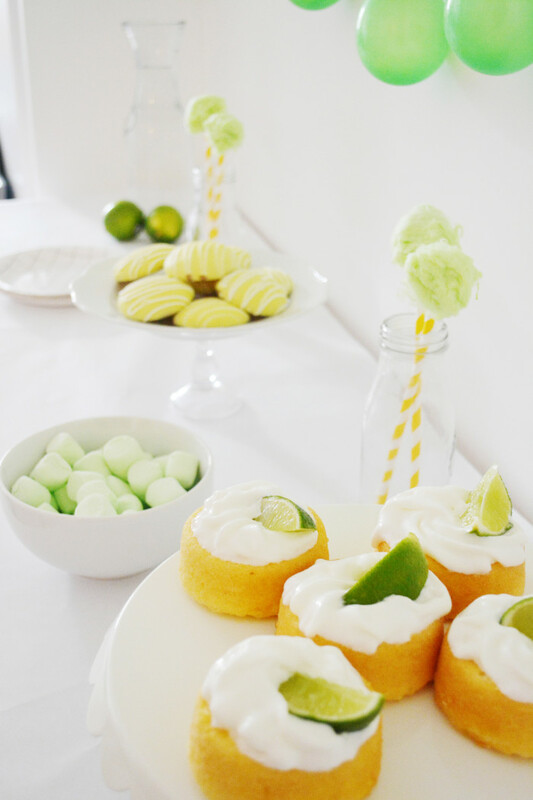 And key lime marshmallows?! 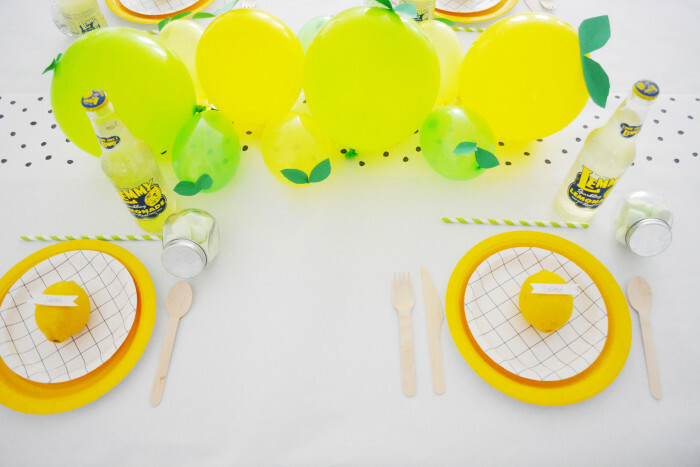 I also made this really simple table setting which would be ideal for a kid’s party. 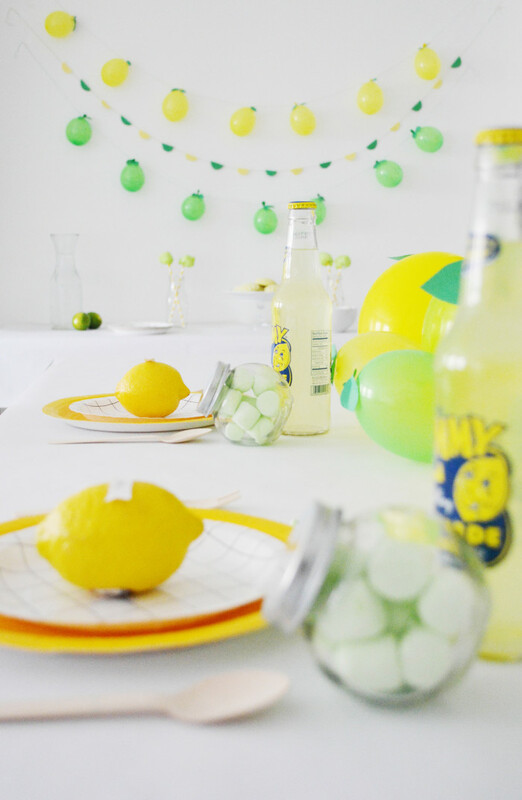 Little jars filled with marshmallows are at each setting, along with individual lemonades and simple lemon place cards. 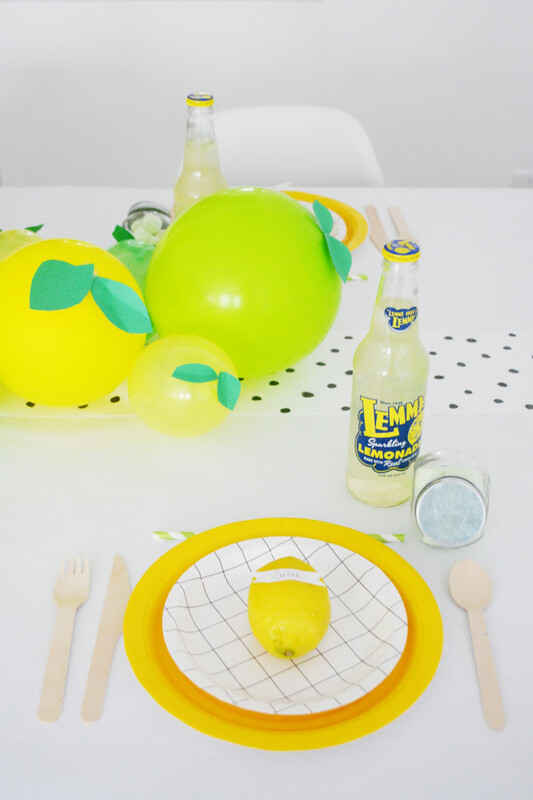 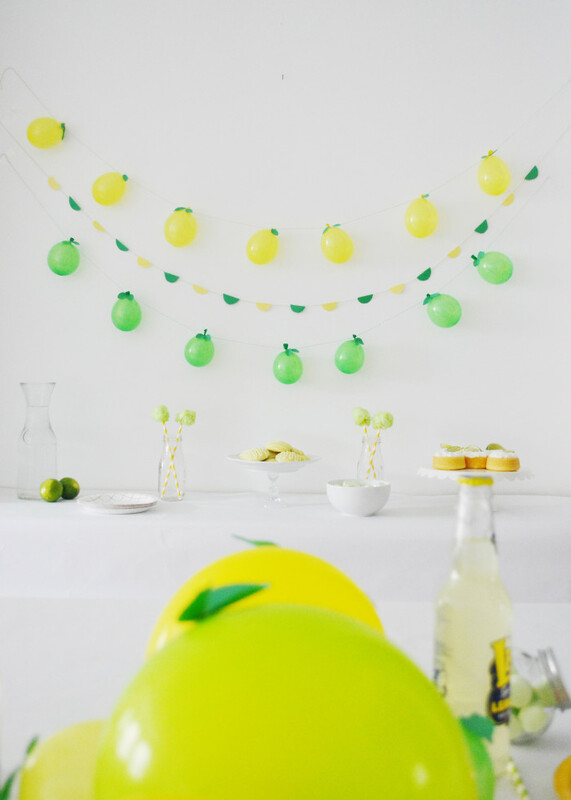 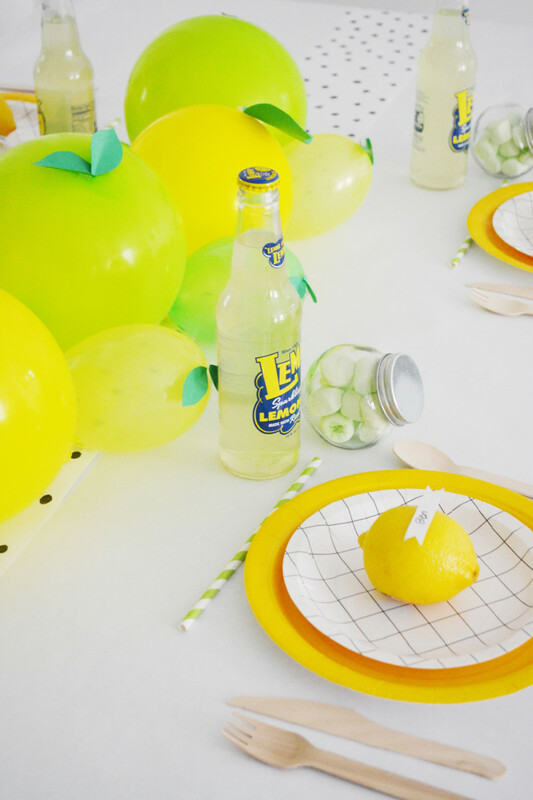 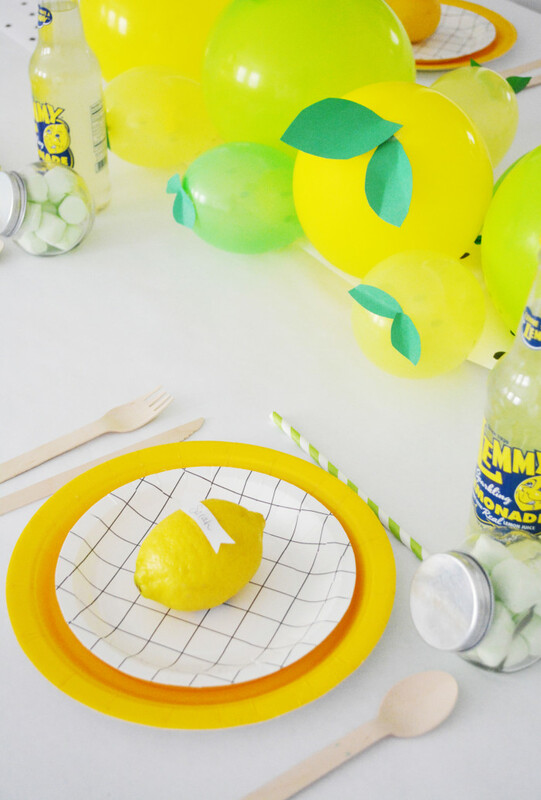 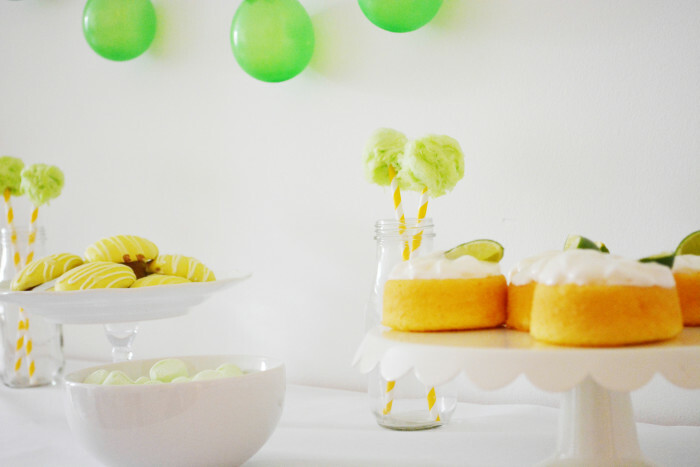 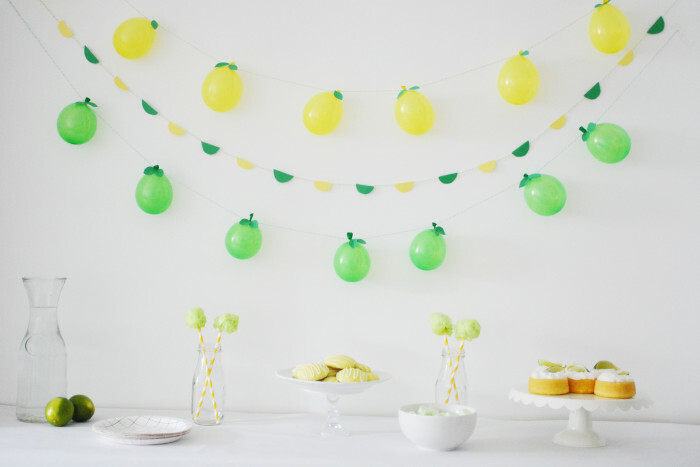 The lemon and lime balloon centerpiece DIY can be found here! 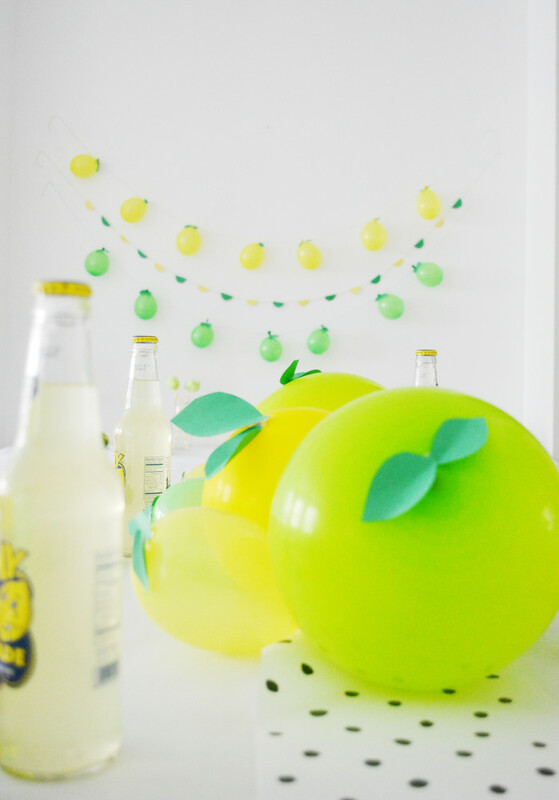 I love everything about this party!! 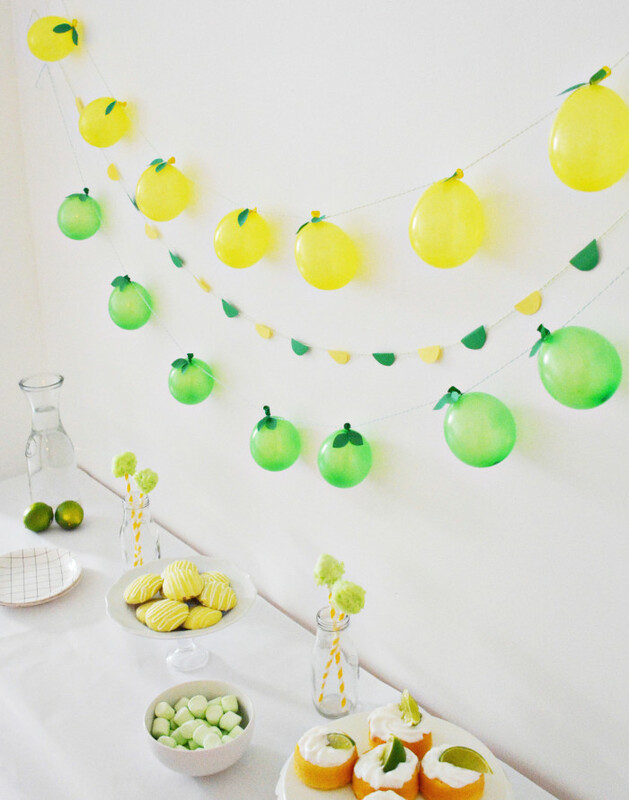 The lemon/lime balloons are totally adorable! 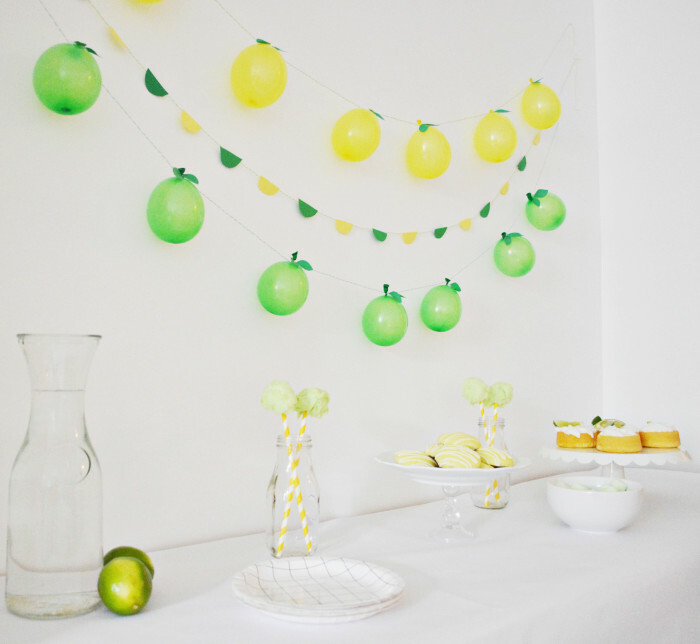 And the garlands too!